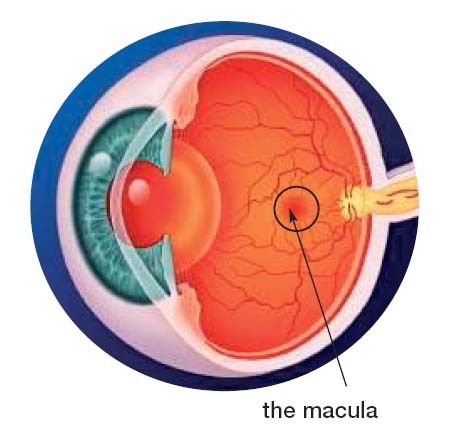 The macula is the center part of the retina that we look straight ahead with. The eye works like a camera. The retina is like the film in the back of a camera. The center of the retina is called the macula. When you look at someone's face or read a book, you are using your macula. That is where your fine vision is. The rest of the retina is for the side or peripheral vision. You cannot see well with your peripheral vision, but you can get around and function with your peripheral vision. Macular degeneration can cause central vision loss, but never causes loss of peripheral vision (side vision). 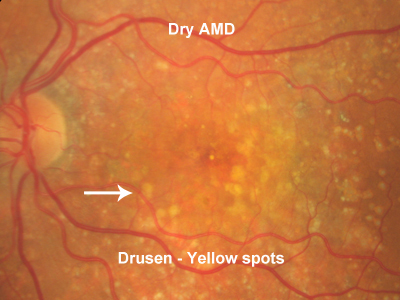 Dry AMD occurs when drusen develop in the macula (see photo). Most people with dry AMD have normal or near normal vision. Only about 10 percent develop advanced dry AMD. Advanced dry AMD occurs when the retina thins out so much that the vision declines. We call the thin spots geographic atrophy. We recommend vitamins for patients with dry AMD and fish oil. Patient with dry AMD should follow their vision and amsler grid every day and report to their physician if their is a change in vision in either eye or a change on the amsler grid. It is very important to check each eye separately. 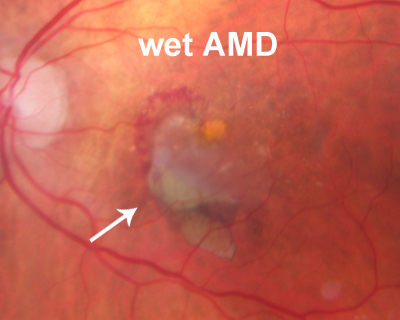 What is Wet Macular Degeneration? Wet AMD occurs when blood vessels start to grow in the macula. These blood vessels can also grow with scar tissue and blood (see photo). Untreated, most people with wet AMD lose their central vision. With treatment, the disease progression can usually be stopped and often reversed. Promt treatment leads to the best results, so if you have a sudden change in vision that could be a sign of wet AMD, you should see your physician urgently. Macular degeneration is the leading cause of vision loss, affecting more than 10 million Americans — more than cataracts and glaucoma combined. Education Lab | 1800 Seconds™ in Advances in the Management of Age-Related Macular Degeneration. Action Against AMD have partnered with artificial intelligence company BenevolentAI to uncover the mysteries of age-related macular degeneration. MedicalResearch.com Interview with: Emily Y. Chew, M.D.Director of the Division of Epidemiology and Clinical ApplicationsDeputy Clinical. Dr. Chew. Emily Y.
EastEnders veteran June Brown has said she can no longer recognise her friends as she deals with age-related macular degeneration at the age of 92. Daughter is angry that Mom tries but keeps missing big family events. Internal Medicine Article: Clinicopathologic correlation of geographic atrophy secondary to age-related macular degeneration. A $500000 endowed research professorship created in honor of the co-founder of Oakland University's Eye Research Institute has seen its first awardee. Extracts from the seeds of the Ginkgo biloba tree show antibacterial activity on pathogens that can cause a variety of skin infections. The FDA is awaiting a ruling on a federal lawsuit, its most aggressive action against the growing industry. Chef Matt Bell from South on Main makes a red wine vinaigrette dressing to go on top of a salad filled with veggies. Red Wine Vinaigrette: 1/4 of red onion. The FDA has granted a priority review designation for RTH258 (Brolucizumab, Novartis) for the treatment of wet age-related macular degeneration (AMD). Dr. Kang Zhang is the chief of eye genetics at UCSD with a history of research violations that put patients in harm's way for years. It's a device that scans a patient's retina to diagnose potential issues in real time. Dry macular degeneration occurs when cells of the macula begin to thin and break down. It is characterized by drusen buildup and typically worsens over time. ... late stage macular degeneration. Eating eggs can reduce someone's risk of developing a chronic eye condition that causes vision loss. Added9 days ago. AMD affects the eyesight of millions. A Michigan Medicine specialist offers easy ways to help slow or prevent the disease. Scientists are experimenting with dozens of drug candidates, including about 20 in clinical trials, that work to preserve vision and restore sight. Macular degeneration is the leading cause of vision loss affecting more than 10 million Americans, more than cataracts and glaucoma combined. A guide to the latest on this chronic disease, from emerging treatments to the risk factors to be on the lookout for. FDA trial approval would make this trial the first ever to test a stem cell-based therapy derived from induced pluripotent stem cells for treating any disease. Aged-related macular degeneration is the top cause of blindness in people age 50 and older. If approved, the first ever clinical trail to test a stem cell-based therapy may provide a cure for age-related macular degeneration. The effects of Charles Bonnet Syndrome have been fairly documented, yet its pathology has been minimally assessed. Dear Editor: Vision Rehabilitation Therapist Awareness Week will be observed this year the week of April 14-20, to commemorate Anne Sullivan's birthday on. Revolutionary eye drops to treat age-related macular degeneration - developing an eye drop that could revolutionise treatment for AMD. Those with hepatitis B virus have a significantly elevated risk for developing any type of age-related macular degeneration (AMD), according to a new report. A woman from Oxford has become the first person in the world to have gene therapy to try to halt the most common form of blindness in the Western world. COLUMBUS — Age-related macular degeneration (AMD), is a leading cause of vision loss for Americans age 50 and older. The eye disease causes damage to. 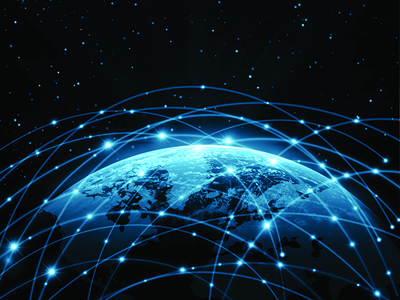 Welcome to this week's Research Roundup. These Friday posts aim to inform our readers about the many stories that relate to animal research each week. Answers questions about causes and symptoms, and discusses diagnosis and types of treatment. Booklet covering the same topic as provided in the NEI website, in printable PDF format. Video illustration of changes in the eye associated with AMD. Detailed article covering all aspects of AMD.